Lewis Daniel "Zeke" Whaley was born on June 2, 1944, in Johnson City, Tennessee. He enlisted in the U.S. Army on June 2, 1961, and completed basic training at Fort Knox, Kentucky, in August 1961. Pvt Whaley then attended Advanced Individual Training as a Radio Relay/Telephone and Teletype Carrier Operator at Fort Gordon, Georgia, from August to October 1961. His first assignment was as a Radio Relay/Telephone and Teletype Carrier Operator with the 596th Signal Support Company with the 97th Signal Battalion in Kaiserslautern, West Germany, from November 1961 to September 1963, followed by service with the 596th Signal Support Company after it relocated to Fort Chaffee, Arkansas, as part of the 509th Signal Battalion from October 1963 to March 1964. 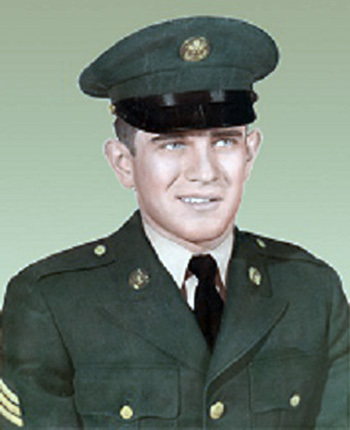 Sgt Whaley's final assignment was as a Radio Relay/Telephone and Teletype Carrier Operator with the 176th Signal Company at Fort Chaffee from March 1964 until his honorable discharge from the Army on June 1, 1964. After leaving the Army, Lewis continued his interest in Ham Radio with the callsign WA4MFZ.